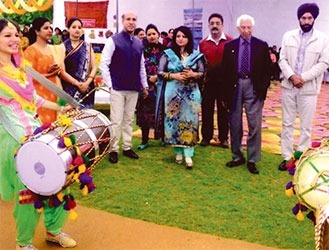 The college has earned the enviable status of Model College for Vocational Courses having won recognition from UGC, NAAC and PSSIEVE (Bhopal). 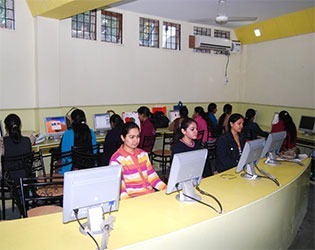 The infrastructure, the learning resources and facilitators coupled with visits to industrial/ corporate houses, exhibitions, hands-on work, workshops and lectures by professionals from India and abroad, all equip the students with the necessary skills to forge their way into the job market or set up their own enterprises. 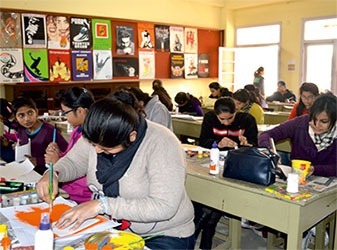 Applied Art opens avenues in Advertising Agencies, Printing & Publishing Houses, Manufacturing Houses, Newspapers, Packaging Houses, Design & Fashion Institutes, Web Designing, Graphic Presentations. Career possibilities are as diverse as Commercial Designer, Visualizer, Copy Writer, Media Planner, Marketing Expert, Illustrator, Art Director or a Free Lance Designer. FDGC is another step to equip the young women with the latest in fashion technology and management skills, to meet the demands of ever growing fashion industry and fashion awareness among all age groups. Other than dress designing & garment construction, the course work entails a study of costumes of India & world, fundamentals of textiles & textile designing. Tourism Industry is the fastest growing and the largest employment generating Industry in the world. Tourism in India supports 39.5 million Jobs. The sector is expected to grow at the rate of 7.9% from 2013 to 2023. This gives India the third rank among countries with the fastest growing tourism industry over the next decade. There is need to have trained professionals to serve this booming industry. Photography is an art that allows us to freeze time, capture memories, enhance beauty & spread information. A career in photography is challenging & rewarding. 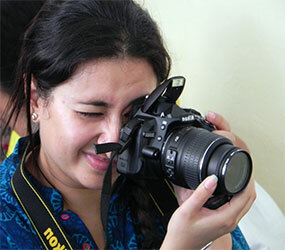 Digital photography would lead to careers in graphic arts, advertising, print & electronic media. Similarly an audio engineer has scope in Recording Studios, Radio & Television Stations, Conferences, Advertising Agencies, Theatres, Concert Halls & the like. Gemology & Jewellery Designing is fast emerging as a major professional field, bringing in its trail tremendous potential and job opportunities. The trained force may open designer stores or even operate from their respective houses as freelance designers & stone setters. The curriculum is designed to provide a comprehensive understanding of various aspects of jewellery industry like basic drawing exercises, manufacturing techniques like sawing, soldering, filling, drilling identification of gems, creation of innovative costume jewellery. DTP packages & other application packages. After this course, the students may be absorbed as Programmers, System Analysts, DTP Managers & Graphic Designers.